I’ll just get this out here: Swedish whisky is fantastic. I tasted quite a number of interesting drams last year from this country and, rather usefully, almost none of it was written up here on Malt. 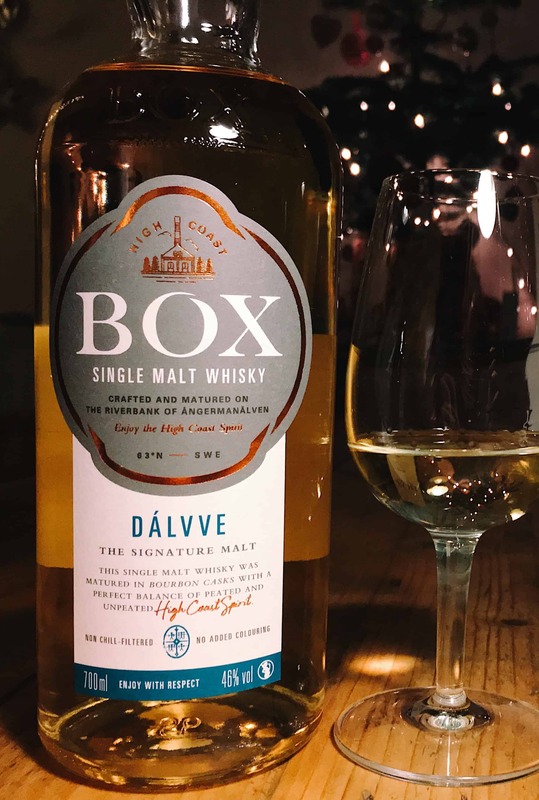 Most were actually as tastings for Whisky Magazine, where I also reviewed the same whisky that I’m reviewing today: Box Single Malt Dálvve. This is actually Batch 002. 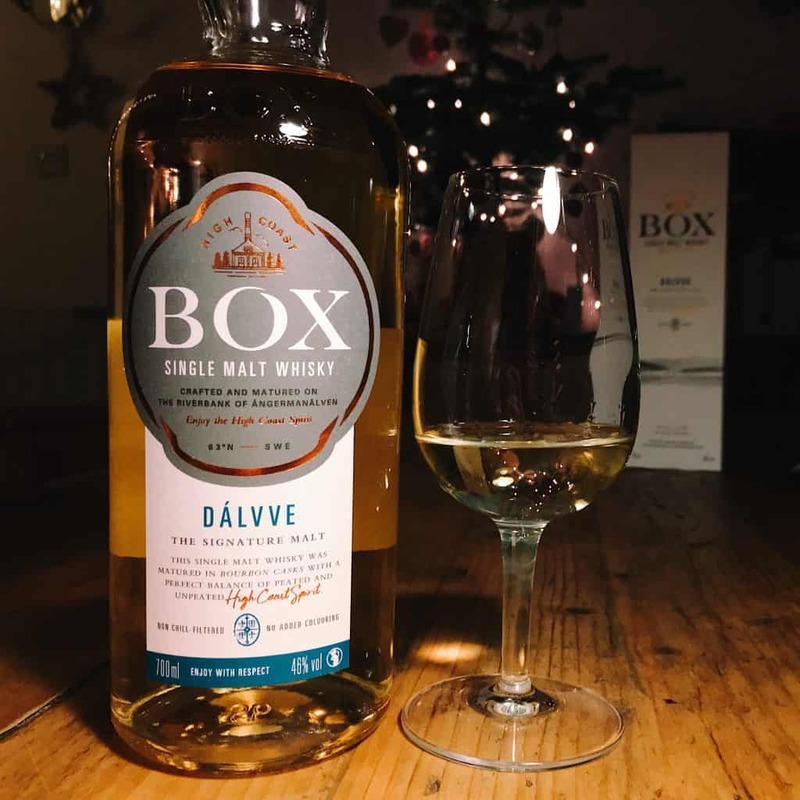 Now that is a thing in and of itself: a statement that the people at Box Distillery only acknowledge there are variations between waves of their main releases, but that they welcome it. Differences are good things, to be celebrated. It is exceptionally dull to consciously create a vanilla product and pretend it’s going to be the same. Barley will change, year to year. Production will vary. Casks will do different things. And this is all good – best not to be fought against, best not to iron out the character, but to be accepted and used. 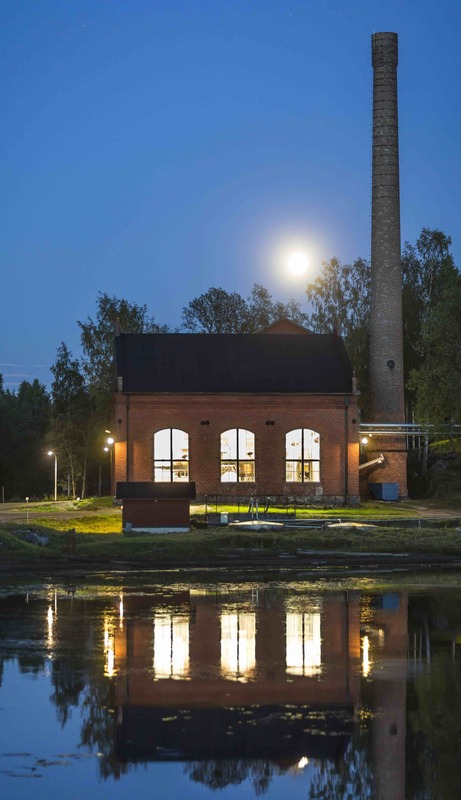 Box Distillery is located in a former sawmill (and disused power station) that stands on the shores of the Ångerman River in northern Sweden. I could waffle on for so long about the story of the distillery, but you can read that yourself on their website. It’s a relatively new distillery, producing its first spirit in December 2010. Box was the stand-out distillery for me in my tastings for Whisky Magazine, and I will likely discuss them more from different angles throughout the year. But the thing I want to focus on is the detail that they’re willing to share about their whiskies. Just look at this bloody amazing resource of what goes into the whisky (taken in full from the website). I want every whisky geek to read this and tell me why she should accept anything less from a distillery. Ingoing barley varieties: Tipple, Quench, Publican, Henley and Sebastian. Process water: From the Bålsjön lake, filtered through sand and coal filters. Average fermenting time: 80 hours in stainless steel washbacks. The bourbon barrels (200 litres) was mainly delivered from Heaven Hill and Jack Daniels. 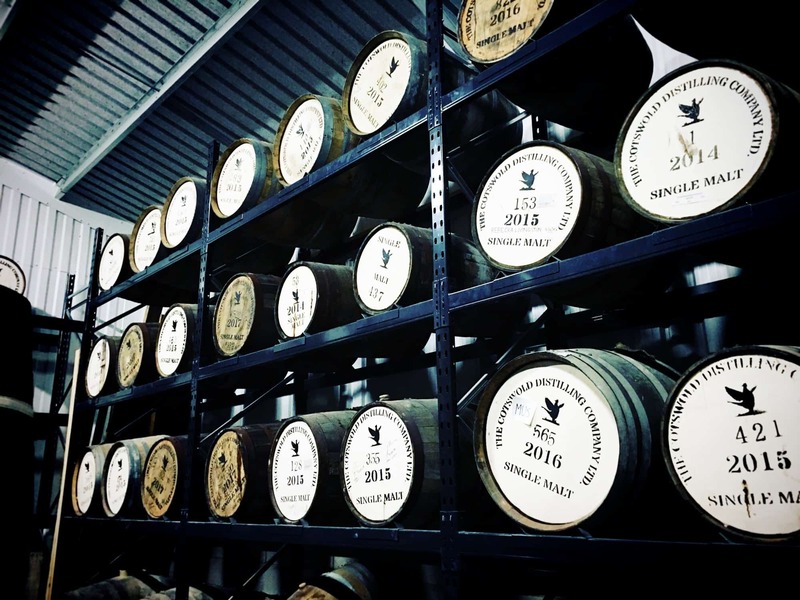 The casks have been stored in a damp warehouse up until October 2014, reducing the alcohol strength. From October 2014 to August 2016 the casks were stored in a drier environment in Box warehouse No. 3. Alcohol strength was adjusted to predetermined 46 % ABV prior bottling. Dálvve was bottled 2016-12-12 to 2016-12-15 in an amount of 14 208 btls. Amazing isn’t it? No rubbish stories that hide the emptiness behind a brand. Just raw details. Look at that huge fermentation time for instance – which says they’re interested in flavour above short-cuts to save time and money). The longer the fermentation, the more flavours we’ll get – to a point. Anyway, how does this young whisky taste? On the nose: as I noted for Whisky Magazine, there’s an amazingly perfumed, floral, jasmine-like scent that mixes with the sweet peat, vanilla and cereal qualities. Fresh fruit: tangerines, lime juice. Dried apricots and barley sugar. Lavender. Grapefruit and peaches. Orange marmalade. In the mouth: gorgeous spirit. It’s inherently viscous and fruity. Black tea, slightly ashy. Vanilla sponge. Grapefruit juice, kiwi, melon. Limes. Light olive oil. That floral quality continues, with golden syrup, honey. Warming ginger and cloves on the finish. The oiliness just carries on and on, bringing the warmth – which turns a little peppery. For £60, this is ace. Because it’s a young whisky, one can actually get an appreciation for the quality of the Box spirit – and they can be very proud of what they’ve created. It isn’t yet the most complex whisky (and it’s not even the best I’ve had from them – but it’s a great core range starting point to discuss). Despite this being a young whisky – possibly even a work in progress – I’m still going to score it relatively highly, because we base things here on Malt on value as much as anything else. 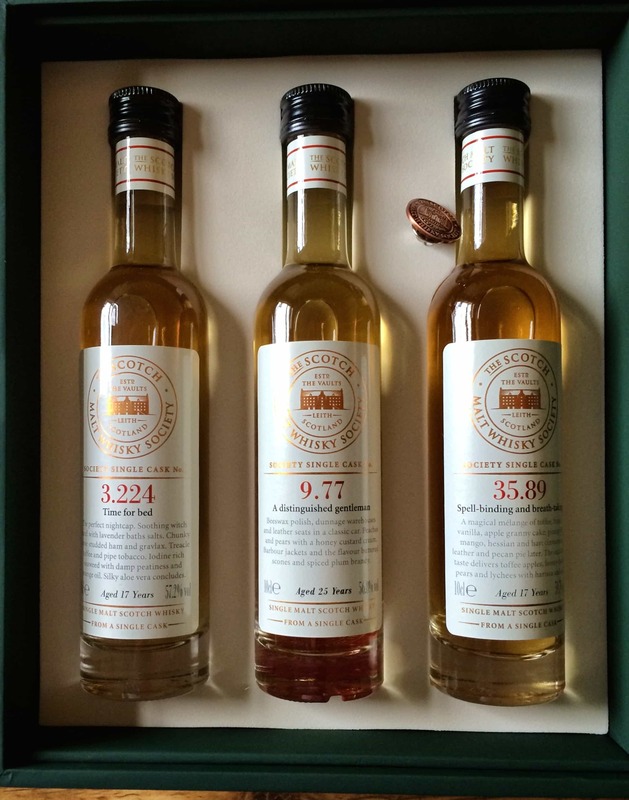 There are distilleries in Scotland releasing whiskies five times the age of this, which have lived in terrible casks and whose spirit was likely poorly produced. Box Distillery shows us all what can happen when you just make good spirit in the first place – this is a lightly peated dram, a gentle whisky to start the evening, but what’s present is really impressive. Not the best I’ve had from them, but very charming. Box also shows up the rest of the whisky world in terms of transparency. Note: Any commission-based links help with our hosting costs, and do not influence our reviews. Great comments Mark. Box is totally awesome. They know what they’re doing! Total commitment to quality. 100%. No cutting of corners with them. I love the place the people and of course their whisky!! Thanks for a great thoughtful and fair review!! So, what other bottles have you tried from Box? And which one do you like the most? I think there are some ups and downs among the First Collection and 2nd Step bottles where they show what they can do. American Oak and Quercus I Robur, both a little expensive bottles are both really nice thoo. Yes, I agree on those two as well. I enjoyed The Explorer in addition to those ones, but agree there are some work in progress drams. In a few years it’s going to be superb.